I feel so fortunate to have the information from your book to put to use. 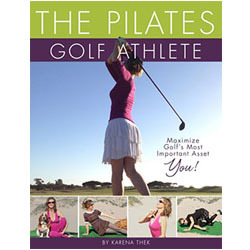 It is easy to read and the exercises are well explained and since I am visual, I love that photos are included. Fractures that occur during exercise leave most people thinking that they have only strained their backs or overdone an exercise. In some cases, many tiny fractures can develop before a person sees a doctor about increasing back pain. The more tiny fractures that accumulate, the greater the deformity of the spine. Karena Thek has devised a plan to make sure this does not happen to you. The four-part plan consists of: Safe movement for exercise and everyday living. Postural awareness. Diet. Medication. 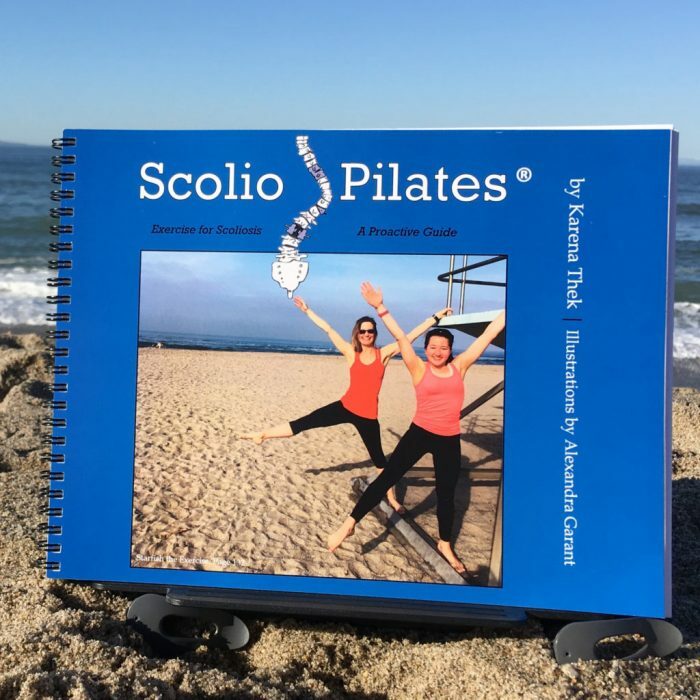 In this book, you will find safe movement guidelines and an entire exercise program of OsteoPilates designed to be safe for those with osteoporosis, to help you greatly reduce your risk of injury or debilitating fracture. You will also find all the nuts and bolts of osteoporosis information necessary to combat this crippling condition. You ll learn what causes osteoporosis (perhaps you have a habit that is decreasing your bone density right now! 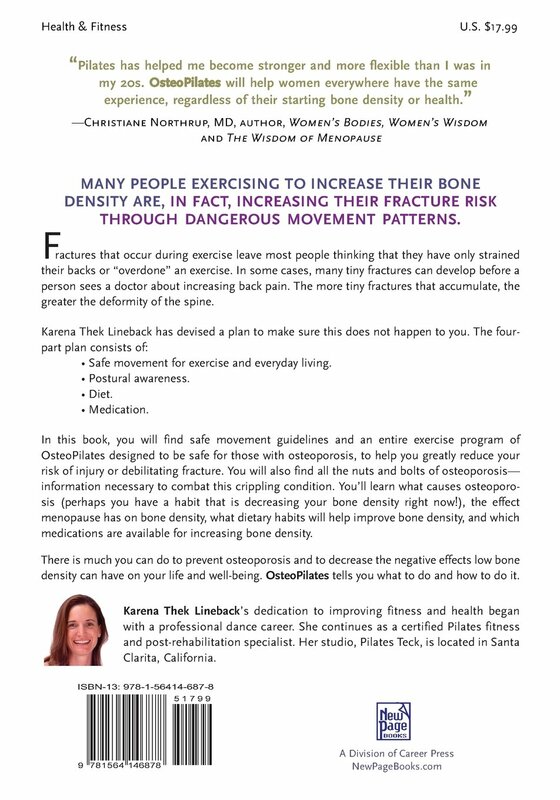 ), the effect menopause has on bone density, what dietary habits will help improve bone density, and which medications are available for increasing bone density. There is much you can do to prevent osteoporosis and to decrease the negative effects low bone density can have on your life and well-being. OsteoPilates tells you what to do and how to do it. 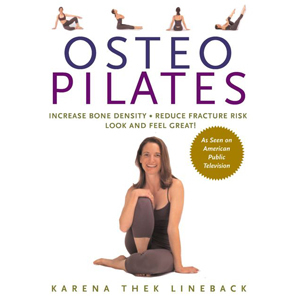 I created OsteoPilates as a one-stop shop for everything osteoporosis but especially for safe exercise for osteoporosis. When diagnosed with low bone density, it is common for a medical doctor to instruct their patients to exercise. That directive needs to be expounded upon in that not all exercise is safe for those with low bone density. And that includes all low bone density: osteopoenia or osteoporosis. Regardless of the degree of your bone loss you are at risk for fracture. In fact, surprisingly, more (many more) fractures occur with women who have osteopoenia (the pre-cursor to osteoporosis) than osteoporosis. OsteoPilates will be your guide to safe exercise. While it is very difficult to increase your bone density after menopause, exercise can improve your balance which will prevent falls; increase your strength and muscle tone which will decrease your risk of fracture if you do fall, and increase your coordination which will also decrease your risk of falling.